In the European Union, the Date of Withdrawal (DoW) of EN 60601-1:2006 (Safety Edition 3.0) is published as Dec. 31st 2017, and DoW of EN 60601-1-2:2007 (EMC Edition 3.0) is published as Dec. 31st 2018. All devices manufactured and imported into the EU are required to comply with EN 60601-1:2006/A1:2013 (Safety Edition 3.1) after year 2018 and EN 60601-1-25:2015 (EMC Edition 4.0) after year 2019. 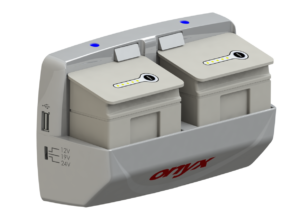 All Onyx products are already compliant to Safety Edition 3.1 and EMC Edition 4.0. Introducing the latest addition to the Onyx UPower line of uninterruptible power solutions—the UPower Pro-22. This hot-swappable battery charger is also able to supply power to any piece of mobile equipment. With an intelligent battery sensing system, the UPower Pro-22 automatically detects the type of battery inserted and provides optimised power at the correct wattage. Making this power solution even more versatile is a 10W USB Type A connector that offers easy charging for many types of mobile electronic form factors such as tablet computers and cell phones. With the UPower Pro-22, your battery powered mobile computing solutions will never again be in danger of losing power when it is most critically needed. 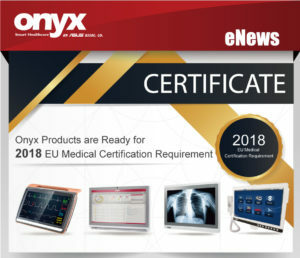 Contact us to find out more about the extensive range of medically certified products from Onyx.